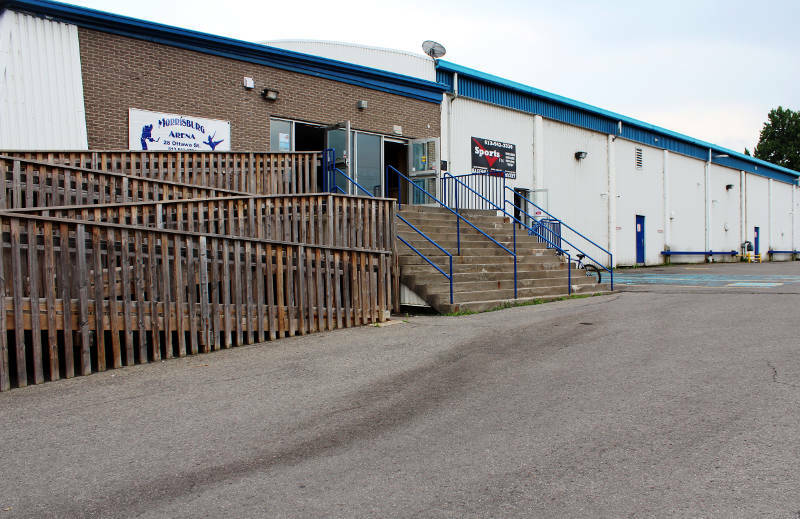 MORRISBURG – If municipal staff have their way, contracts to design and replace the concrete slab at the Morrisburg Arena will be given to companies in Smiths Falls and Whitby. Recreation Director Ben Macpherson is recommending council “circumvent the procurement policy requirements” in order to speed up architectural and construction work, given the tight timeline before hockey season. Under Macpherson’s plan, the architect – Barry Bryan Associates of Whitby – would do the design while Guy Saumure & Songs Construction Limited of Smiths Falls would perform the slab replacement. The township received $315,000 in February from the Ontario Trillium Foundation to replace the ice pad surface. The work could cost as much as $630,000 (the grant, plus matching funds from the 2017 budget, according to the staff report). Normally, a contract of this size would go to open tender for bidding by various companies. But Macpherson is suggesting that for “reasons of function or service” these two companies should be picked because they worked on the replacement of arena slabs in Winchester and Chesterville and were the lowest of five bidders in that municipality. “Guy Saumure & Sons were successful in winning both arena bids and, by all accounts from staff at North Dundas and from Barry Bryan and Associates, they performed quality, professional work while meeting all deadlines associated to each project,” a report before South Dundas councillors tonight states. Council will have the final say tonight (Tuesday) at 7 p.m. during its meeting at the South Dundas Municipal Center in Morrisburg.